A frenzied pack of wolves, crazed with rabies, is likely to have mauled and devoured a British woman tourist hiking in Greece, a coroner believes. The woman, named locally as Celia Hollingworth, 62, was reported missing last week. 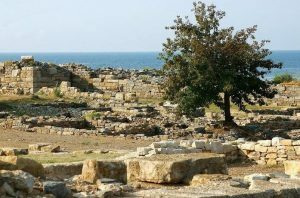 She vanished while walking back to her tourist lodgings in Maroneia, northern Greece, after visiting the nearby archaeological site of Mesimvria. Rabies is a viral disease, found in wildlife, which causes inflammation in the brain and is usually fatal. Most of the deadly wolf attacks recorded historically have involved rabies, which was first observed in wolves in the 13th century. The earliest case of a rabid wolf attack was recorded in Germany in 1557. In the latest case, coroner Nikolaos Kifinidis in Greece told The Times that the fleshless and dismembered condition of human remains found last weekend suggested the victim may have been attacked by wild animals, like rabid wolves or jackals. In a tragic footnote, reports suggest the victim tried to contact relatives in London around the time of the attack, but lost the signal on her phone. A London police spokesman told Britain’s Daily Telegraph: “We are working closely with officers in Greece regarding the formal identification of the deceased. Australia’s Department of Foreign Affairs and Trade (DFAT) rates Greece as one of the safest counties: “Exercise normal safety precautions”. For Greece, DFAT gives the usual advice about pickpocketing, bag-snatching and drink-spiking – but makes no mention of wolves. The European Commission estimates 3900 wolves are roaming the region of southern Europe that includes Greece, Bulgaria, Slovenia, Croatia, Bosnia & Herzegovina, Montenegro, “the former Yugoslav Republic of Macedonia”, Albania and Serbia (including Kosovo). 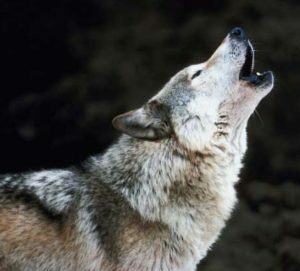 The first indication of wolves nearby is often an eerie or blood-curdling howl. The sound has sent chills up human spines for millennia. Wolves howl to communicate over long distances — packs can hear each other for up to 10 kilometres in forest, farther on open ground.